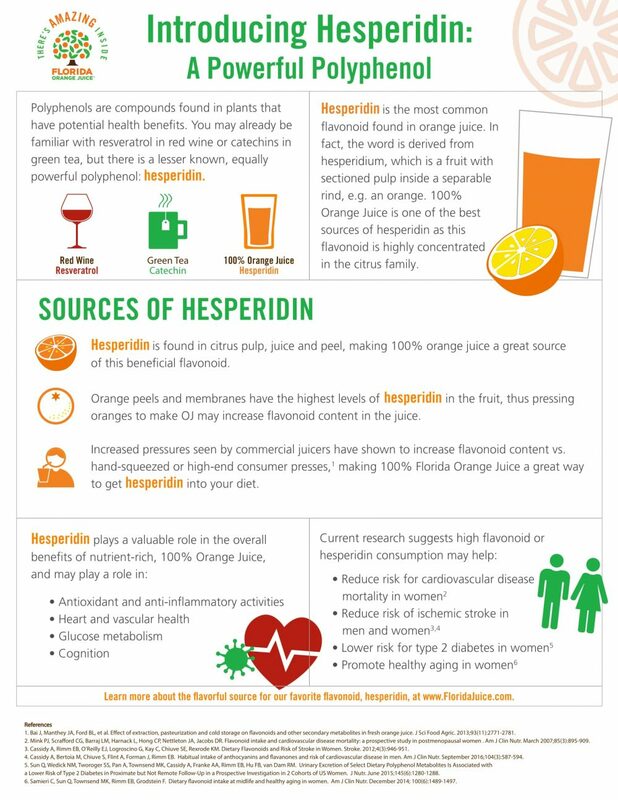 Hesperidin is a powerful phytonutrient, or flavonoid, that contributes to the overall benefits of 100%, nutrient-dense orange juice, including positive effects on heart and vascular health, blood sugar control and aiding the immune system. 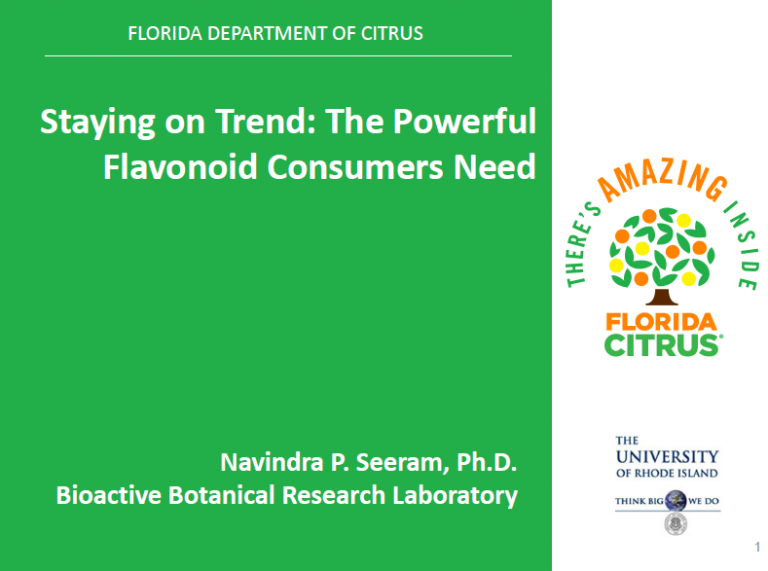 Additionally, research suggests that flavonoids like hesperidin may help reduce inflammation or help maintain blood flow which could have positive effects on cognition. In fact, 100% orange juice is the only fruit juice or commonly consumed food that contains a significant amount of hesperidin. Learn more about the health benefits of hesperidin by viewing the information below.